It’s a little embarrassing but this charming story about a boy begging his parents for a pet actually hit home pretty hard for me as I was desperate for a cat as a child but was never allowed! (It’s okay, I have one now so hold the violins). This is Jo Simmons’ first foray into books aimed at younger children following her previous Pip Street series and it’s such a fun read. It’s marketed as a first reading book but with the fabulous illustrations and fun story Caterpillar loved hearing it despite not being three yet. Plus, it’s a book I’ll definitely be saving for a couple of years time for him to try to read himself. The plot about a boy’s friendship with the neighbour’s kitten and his desperate desire to keep him is funny, cheeky and very relatable for children (and this scarred adult). The mischievous Mrs Upguffy is such a well-drawn character for a children’s book – her name, and her antics, will have many kids giggling. 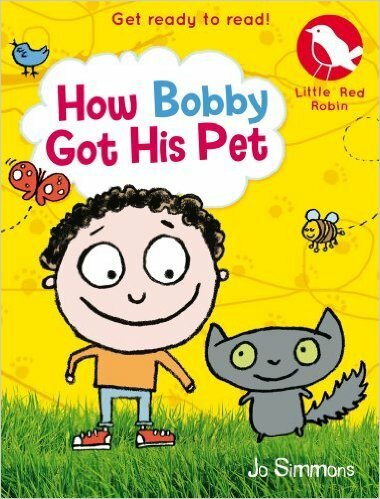 From a parent’s perspective, my favourite part is when Bobby begins to bond with Conkers the cat, learning how to take care of him and how to respect where he does and doesn’t like to be touched. This a great lesson for any child learning how to treat animals correctly. I love the fun and unique narrative, with surprising phrases such as “Their friendship grew, like a beautiful mushroom on a log,” keeping it interesting for the reader. 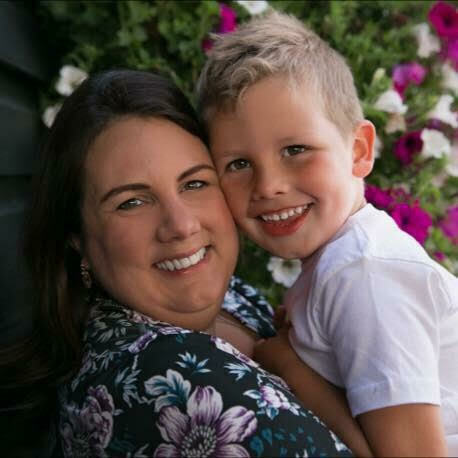 It’s a great length for a ‘get ready to read’ book because it’s short enough to keep your child’s attention but long enough to tell a captivating and funny story, with a great little twist at the end. The illustrations have a retro feel to me, which is lovely and made me think of my own first reading books, and I love the idea of layering the drawings on top of real photography. 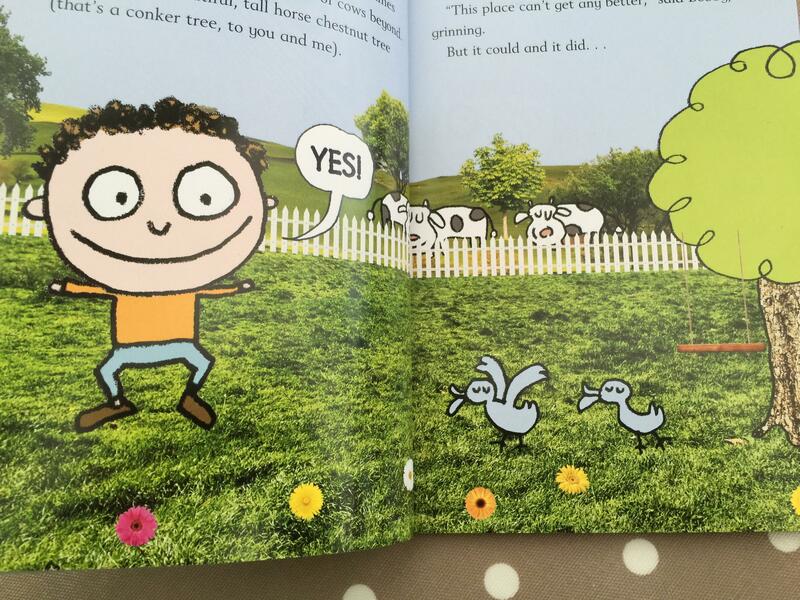 Such an enjoyable read for both me and Caterpillar – and I was very relieved to see Bobby get his happy ending! You can get your hands on a copy here. This sounds right up my daughter’s street. She’s going through the wanting a pet stage right now! I do like the illustrations – it looks a fun book to read. Oh, I love a story with a happy ending and the illustrations do look really interesting I like the combo of photos and drawings too. What a unique book, it’s lovely! I was like you as a child, but with a rabbit. We then bought rabbits (me and my hubby) and his parents fell in love with them so much they pinched them! We have a cat now though like you. Sounds like a really sweet story, i bet my children will be able to relate, with all those pets we never let them take home! What a cute looking and sounding book 🙂 I miss the bedtime story days now they’re supposedly too old.